Roll On : My Cheap Stuff Hunt! For the past month, I get myself a lot of stuff for a really cheap price. Mostly because I come to places selling things cheap. Although got some stuff just amazingly so cheap just out of the blue. It's been a great deal i have to say. It was still a nice stuff, not something whacky of what so ever. Le helmet. I have two helmet. One is mine and the other is my friend's who borrowed it to me. She don't use it anymore and it got stolen. Arghhh. It was just annoying. The cheapest helmet would be around RM40 (as far as I know lah) and it stressed me out since I still need to ganti my friend's helmet. So long story cut short, I went for my makcik house the other day and finally get the chance to went for Pasar Karat which they have been prompting us to go for several times. We finally got the time and whalla! I found a second hand helmet which cost me only RM25. 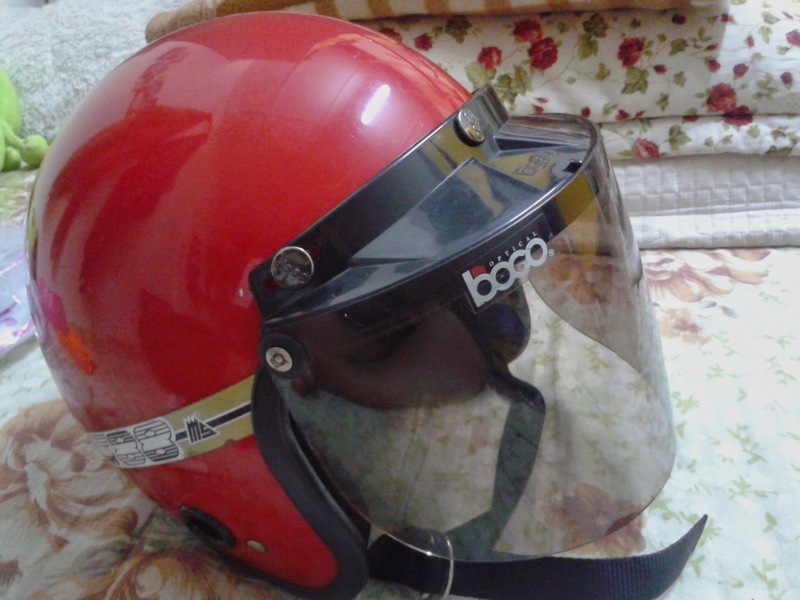 It is even in a better condition than my other helmet which is actually the same model and cost RM40! Fancy blue snickers. I always wanted a snickers but I will always opted for a nice flats instead. It is so cute to wear snicker with almost everything! 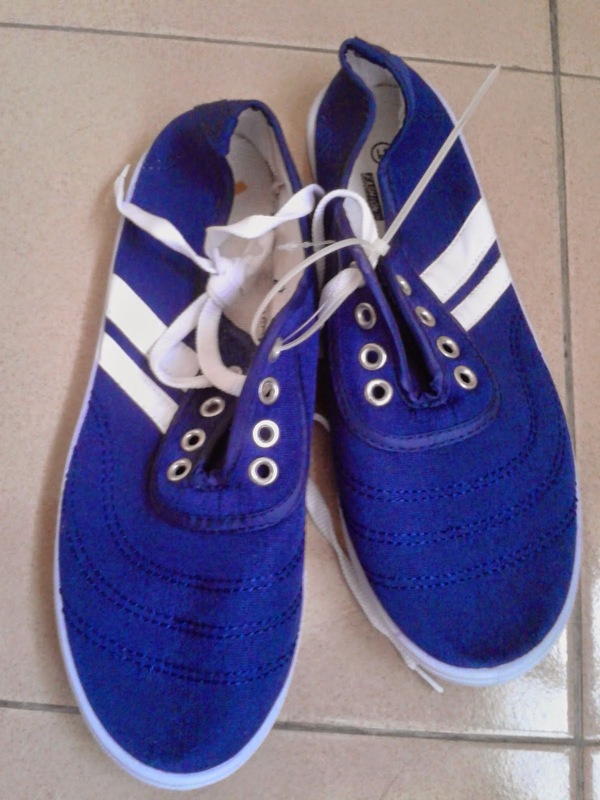 But a nice one would cost a sum of money and it feel too much to waste as i still have other shoes with sort of like a snicker. Put all that guilt aside when i found this gem for only RM10, i quickly buy one. Funnily, i found this at Rapid supermarket which was just opened. We went there because it was recently opened. Kalau tak kami pergi Econsave since we got this idea that Rapid is mahal. Kid dining set. Nabila always wanted this stuff when she have any jamuan at school. They ask the kids to bring their own pinggan and sudu and cawan. I love to give her thing and most importantly thing that she need. Well sort of. but i'm a stingy sister. The one that i found cost quite a sum of money for simple plastic set. 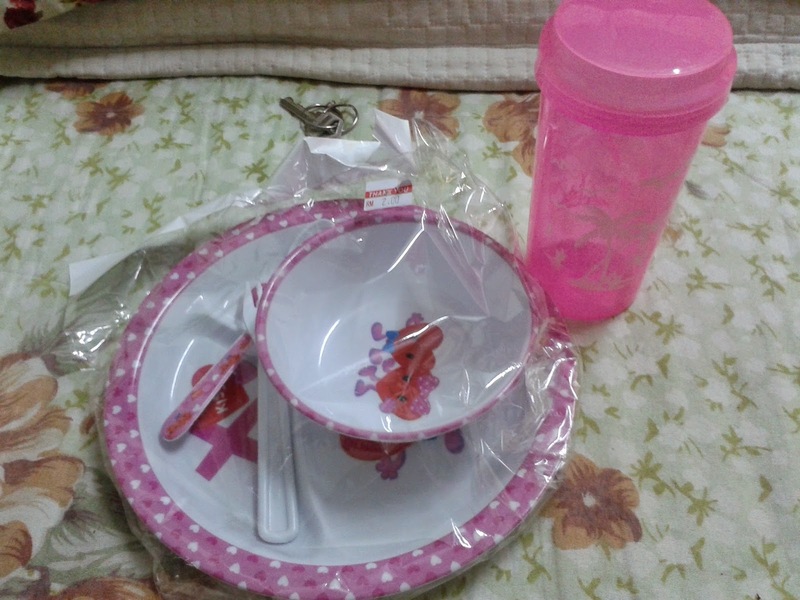 Upon seeing this set cost only RM2 i find a pink one (her favourite colour) and even match it with that pink tumbler which only cost RM1. She was so happy that she use it during lunch and dinner. The best thing is that it is a small plate since it was made children. It help to control portion that she ate. She have become quite chubby and this is really a good way to control her eating. I actully found this at this sort of kedai RM2 near UO. It was so hard to find this kind of shop here in Chow Kit. I don't understand why though. 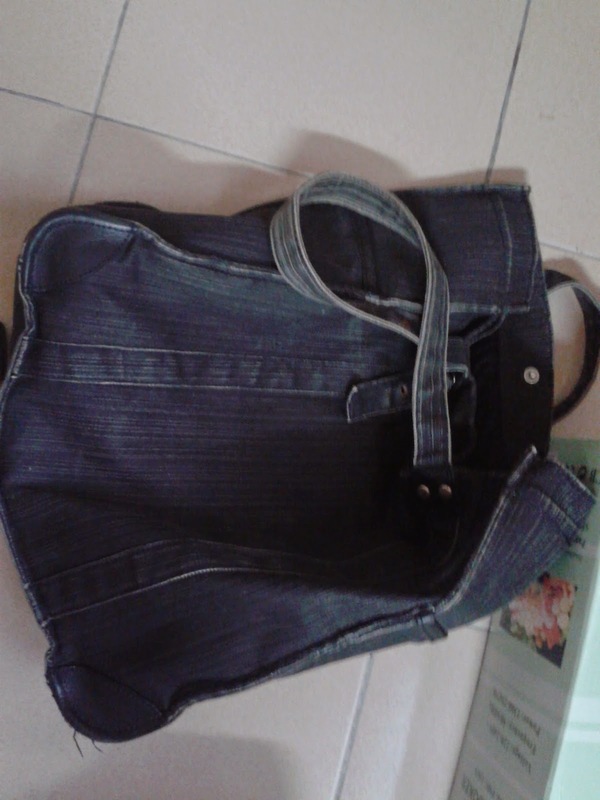 Cool jeans bag. Jeans is always in and this one were so cute and fancy and just me. I love how well it made and it big size. It was made to last longer since it's made up from jeans. This gem piece was also found in Pasar Karat. Of course second hand lah. They pile up all this bag for RM5. Actually, i intended to find some nice big luggage bag or something to carry my cloth and stuff whenever I'm going for a couple of days of trip. 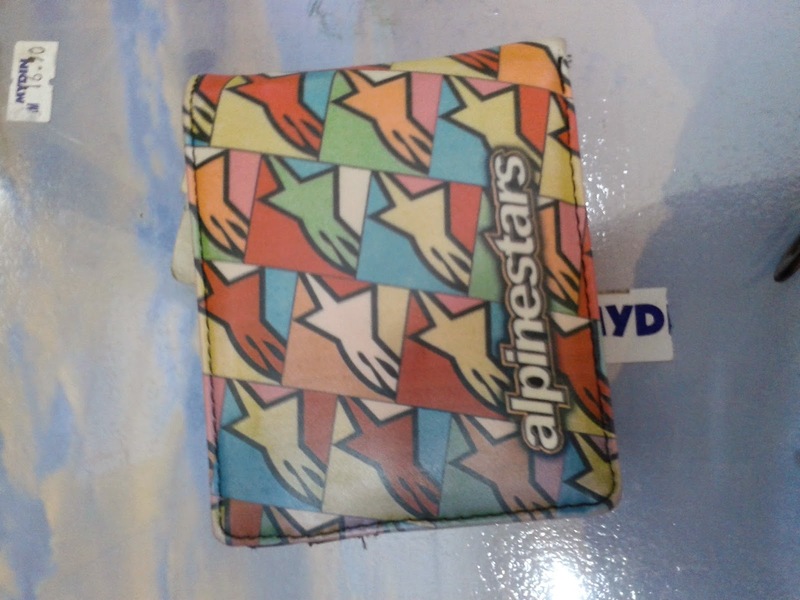 That is the kind of bag that attract me to this pile but it seems that the bags were just hideous. Since I was searching all over the pile that I found this baby. 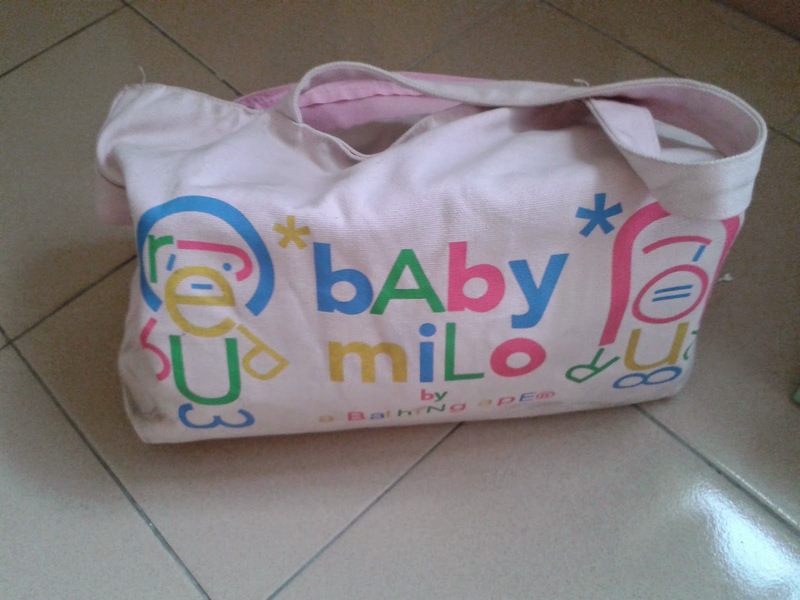 After some hard thought since I don't really need such bag I decided to buy it anyway because it is only RM5. There are some more stuff but I just share the best one that I thought need to be shared. Plaza GM were much of clothing and shawls and towels and cheap jewelleries kind of stuff. We were aiming to find plastic bottles which they don't have. That Pasar Karat sure have some more fancy stuff you all can check it out. It is located at parking lot of Stadium Shah Alam and held every Sunday if i'm not mistaken. It's really my new favourite place and I'm very looking forward to go there again. They have a lot of stuff from clothing to food to wet market at one side and dry market at the other side. They even have cars!